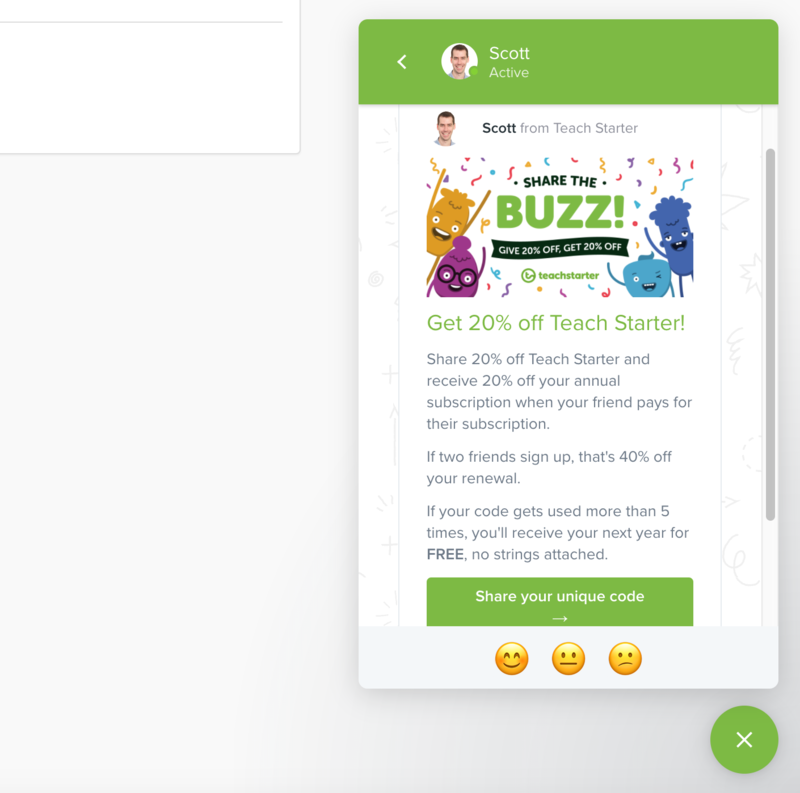 From time to time, the Teach Starter team will send you important messages or helpful tips so that you can make the most of your Teach Starter experience. 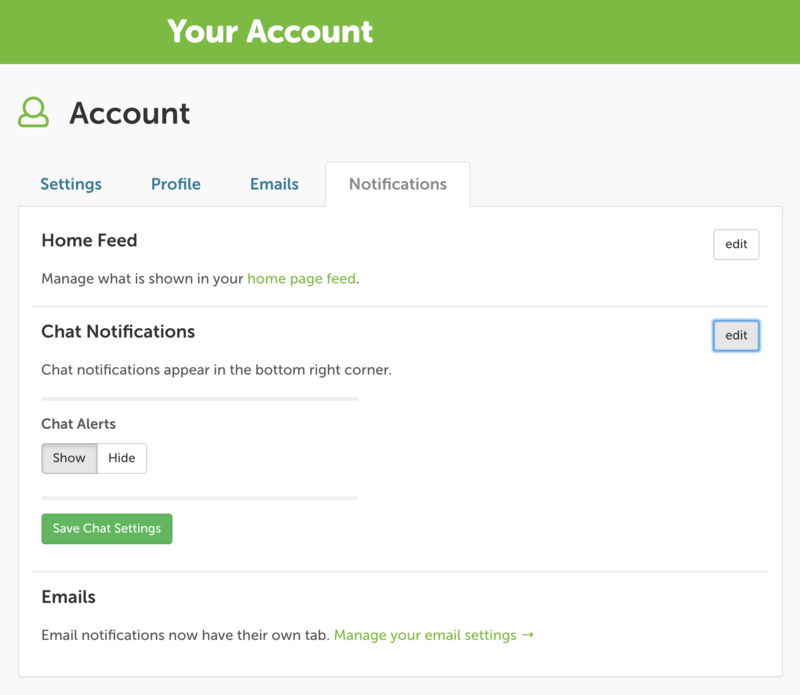 These messages appear from our green Chat Notification icon in the bottom right corner of the website. 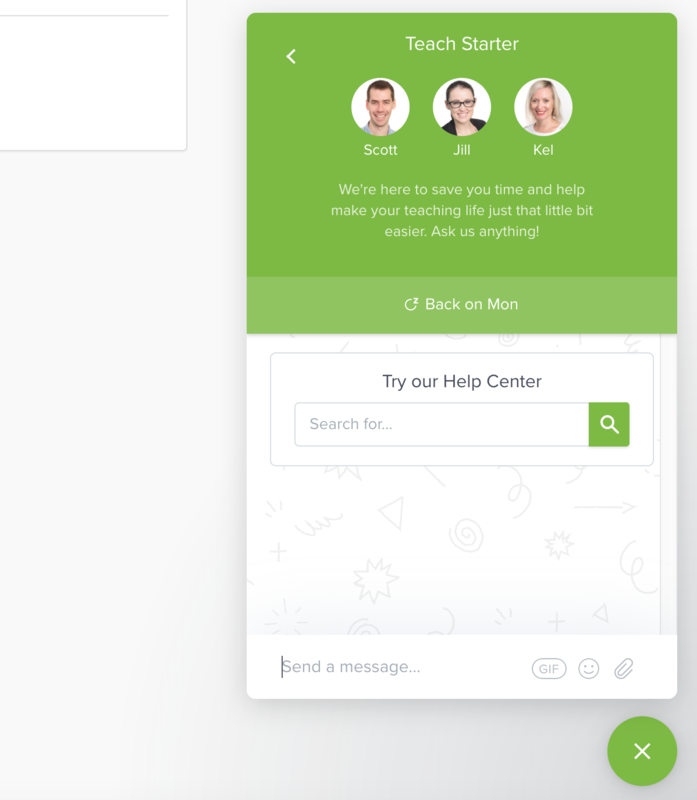 To start a conversation, simply click on the green Chat Notification icon. You can then type a message or visit the Help Center. To close an open message, simply click on the X button in the bottom right corner. Click edit next on the Chat Notifications section. This will reveal additional settings. Click the Show or Hide toggle button.